Where Is It: North and east of Seattle, on the Canadian border. North Cascades National Park is managed by the National Park Service and the park headquarters is in Sedro-Woolley, WA. 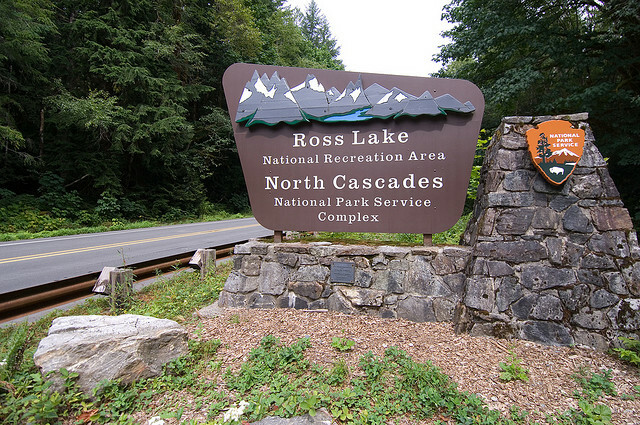 North Cascades National Park is bisected by Ross Lake National Recreation Area, creating a northern and southern district or unit of the park. The southeast boundary of the southern district abuts Lake Chelan National Recreation Area; the park and two recreation areas are managed as the North Cascades National Park Complex. The three entities were all established in 1968 and in 1988, much of the park complex was designated wilderness as the Stephen Mather Wilderness, preventing further non-natural alterations to 94 percent of the park. # Visitors: 21,623 visitors in 2013. The western part of the park differs markedly from the east. Moisture blows in from Puget Sound and the Strait of Juan de Fuca. It hits the western slopes and rises, condensing to rain and snow. Western red cedars, hemlocks, and Douglas firs luxuriate on slopes that receive 110 inches of precipitation a year. When the winds reach the east, they are mostly wrung dry: Only 35 inches of precipitation fall in Stehekin at the head of Lake Chelan. Arid-dwelling sagebrush and ponderosa pine grow in the peaks’ rain shadow. Fees: There is no entrance fee. Camping fees range from free to $12, depending on the campground and the season. Staying There: There are hundreds of campsites, but most of them are very primitive: bring your own water and carry out your garbage. North Cascades National Park is renowned for its varied and rugged climbing terrain. The numerous peaks and over 300 glaciers present classic mixed mountaineering routes, intricate glacier travel, and technical rock climbing as well as scrambling—all within a premier wilderness setting. A popular backpacking trail is the 40.4-mile Devil’s Dome Loop, which circumnavigates Jack Mountain. The trail is known for its wonderful wildflowers and much of it is high ridge walking above tree line. Another popular backpacking trail is the 33.5-mile Copper Ridge-Chilliwack River Loop. This strenuous route features a rare ridge walk with expansive mountain views and one of the finest old growth forest hikes in the park. Intrepid hikers, backpackers, and climbers visit all year, but April through October is peak season. The driest and most popular time to visit is during the summer—mid-June through September. Higher elevation trails often remain snow-covered well into July and sometimes August. Seattlemet.com: The Complete Guide to North Cascades National Park…. Backpacker.com: North Cascades National Park Backpacking…. 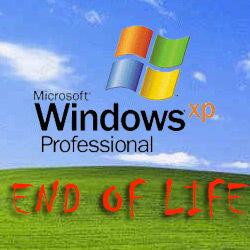 If you still run Windows XP on your computers for home or work … you need a new operating system. Now. Microsoft no longer supports the software … which means there is no longer any development to improve the operating system. That might seem like no big deal when your computer is working just fine … but that will change. The next time you buy a new printer … the driver may not be compatible. And last week, a new security breach was found in the operating system. If you use Internet Explorer (like 56% of the world), and you use XP … the right hacker can get into your system. And what is Microsoft doing about it? If you use XP, you need a new computer. Not only is the hardware aging, Microsoft has already left the software for dead. I know one thing about your computer: some day it will die. Now, I know something about your XP computer: it is less secure today than it was a week ago. And it will never get better. Wall Street Journal: New Browser Hole…. 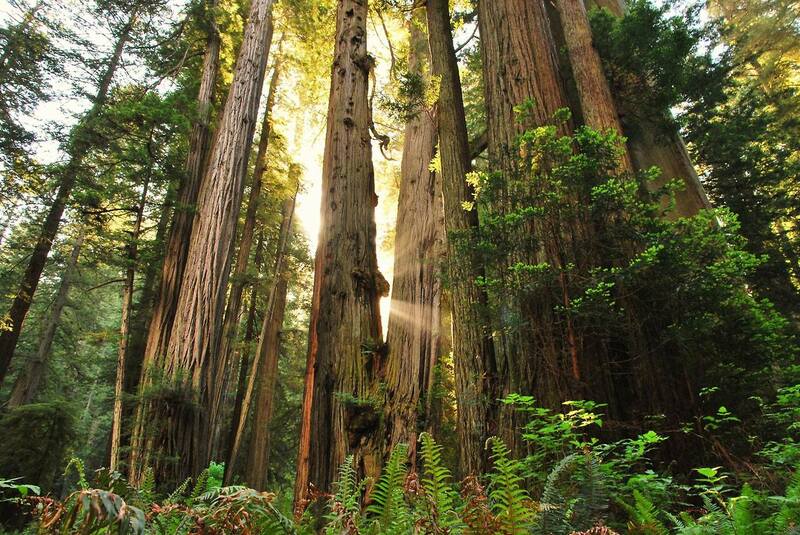 Most people know Redwood National Park in California as home to the tallest trees on Earth. But the parks also protect vast prairies, oak woodlands, wild riverways, and nearly 40 miles of pristine coastline, all supporting a rich mosaic of wildlife diversity and cultural traditions. Together, the National Park Service and California State Parks manage these lands for the inspiration, enjoyment, and education of all people. Photo: Jessica Watz. 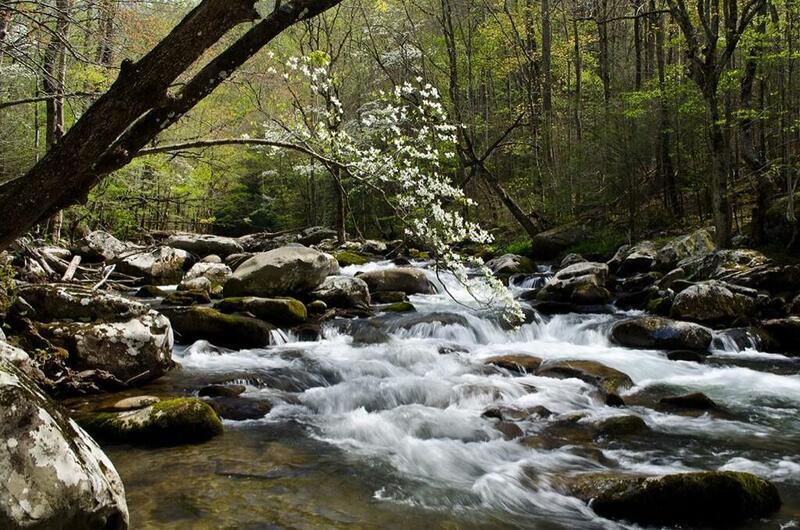 Tweeted by the US Department of the Interior, 4/25/14. Photo by Peter Eades in Rocky Mountain Arsenal. Tweeted by the US Department of the Interior on 4/9/14. Rainbow trout. Tweeted by the US Department of the Interior, 4/18/14. An ocelot, photographed in the Lower Rio Grande Valley National Wildlife Refuge. Tweeted by the US Department of the Interior, 4/4/14. From Glacier Bay National Park. Tweeted by the US Department of the Interior, 4/18/14. One of the first calves of the year at Montana’s National Bison Range. Tweeted by the US Department of the Interior on 4/21/14. This is the view I want from the living room window of my mountain cabin … which means it should be in the Great Smoky Mountains National Park. Tweeted by the US Department of the Interior, 4/22/14. Natural Bridges National Monument in Utah. 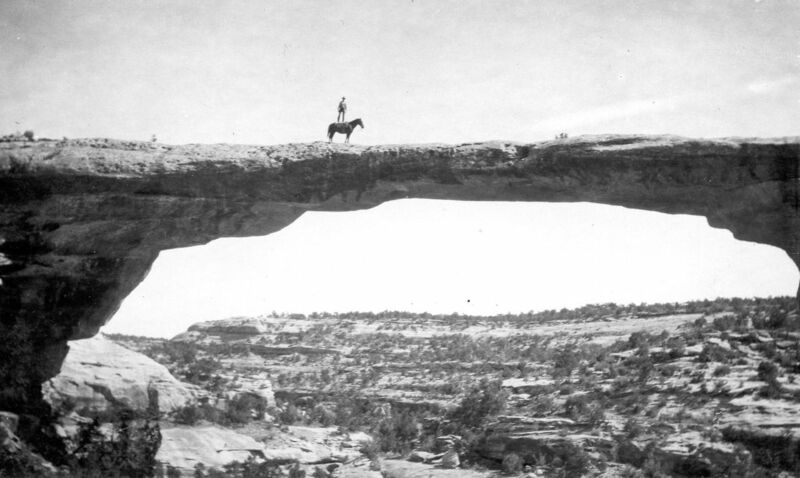 Dan Perkins (USGS employee) standing on his horse “Cap” on top of Owachomo Bridge. Circa 1925. Photo: WT Lee, USGS. Posted by the US Department of the Interior on Tumblr, 4/24/14. 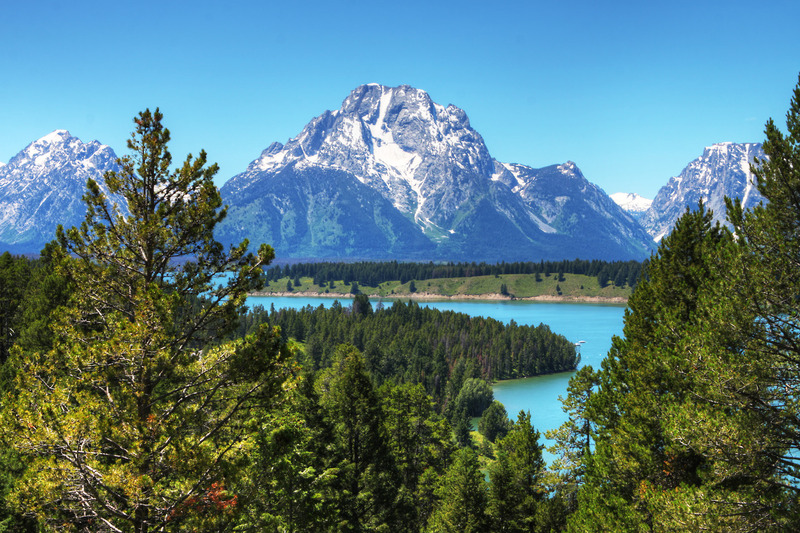 Photo of Grand Teton National Park by Arianna Grainey. Posted on Tumblr by the US Department of the Interior, 4/21/14. Not the best picture ever taken of Half Dome, but, oh, my, isn’t it great when you get lucky with a shot like this? 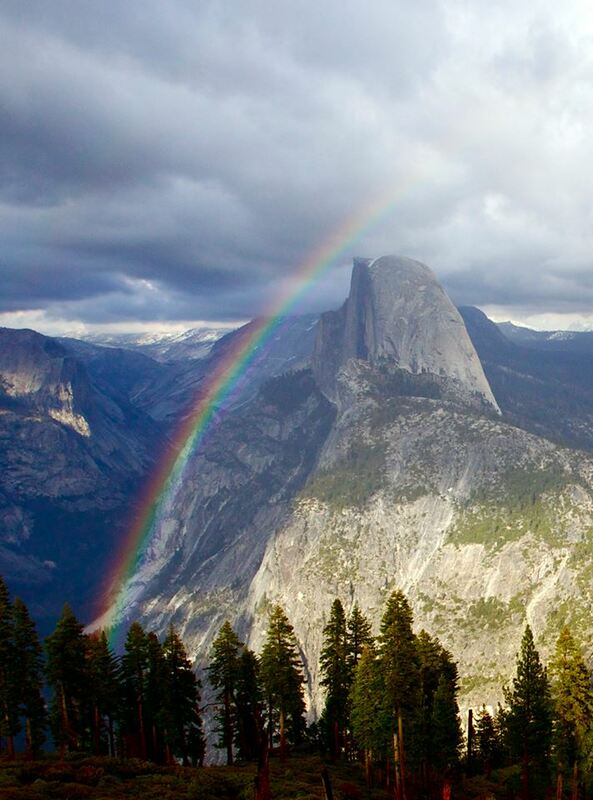 Photo taken from Glacier Point in the Yosemite National Park on 4/18 by an unnamed NPS employee. Posted on Tumblr by the US Department of the Interior on 4/22/14. Hard maple boards, destined for glue up, and, eventually, a cutting board and a cheese board. Glue-up # 2, where the strips are rotated into an end-grain cutting board. # 60 Cutting Board, $60. Hard Maple, 12″ diameter. An end grain cheese board was made from the left over hard maple. Next cutting board was hard maple, cherry and walnut. After the first glue up, the board is cut into 1-1/2″ strips. You have to be very careful to number every piece and mark the orientation, or you’ll end up with a piece glued on the wrong way. I didn’t like the design as this board was sliced … so I offset every other piece by 3/8″ to make a better pattern. # 78 Cutting Board, $125. Hard Maple, Cherry and Black Walnut. End grain. Next cutting board is hard maple, walnut, canarywood and cherry. Notice the asymetrical layout of the wood. Careful numbering of each strip. When it was cut into strips to make it an end-grain cutting board, one piece of hard maple was revealed to have spalting in the middle of the board … the little dots in the middle of the board. The grain pattern was no longer symetrical, so I moved 4 strips from one end to the other in order to center the unique grain pattern in the hard maple. The adjusted pattern with the grain pattern centered on the board. The glue needs to have sufficient “open time” so I can apply the glue to all 13 strips, and then still have time to spread the glue before placing the strips into final position. Excess glue is wiped off, and then the wet assembly sits and dries for 24 hours. Look closely at the end strip closest to you … and you’ll see the number on the end is oriented differently than the other strips. Ooops! This strip, which was oriented the wrong way, got cut off before finishing. All of these cutting boards are finished with mineral oil and our wood butter topcoat, which is a combination of mineral oil and locally harvested beeswax. Next board is hard maple, walnut, cherry and canarywood. This board stayed as a “long grain” cutting board: the grain runs the length of the board. Some prefer the checker board patterns of end grain cutting boards (which many butcher blocks have); others prefer long grain cutting boards. Who Doesn’t Love Cheese & Crackers? Where Is It: 220 miles south of Salt Lake City or 350 miles northeast of Las Vegas. 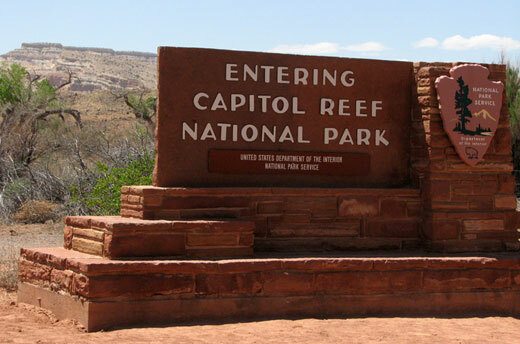 The Birth: After years as an under-developed National Monument, President Nixon finally singed legislation in 1971 to declare Capitol Reef a National Park. It Happened Here: The early Mormon pioneers who settled in a colony they called Junction (later known as Fruita) planted fruit trees that still stand today in the shadow of Capitol Reef National Park’s towering cliffs. # Visitors: 663,670 in 2013. Peak attendance in May; low attendance was in December. Fees: $5 per vehicle, good for 7 days. Staying There: There are 3 campgrounds, 80 spaces, available on a first come, first served basis. The Castle and Sulphur Creek. From the Park’s website. Goosenecks Overlook. From the Park’s website. The Castle. From the Park’s website. Fruita and Wingate Cliffs. From the Park’s website. Utah Penstemon (Penstemon utahensis) is found in sandy soils on canyon bottoms, hills, or benches in mixed desert scrub, blackbrush, and pinyon juniper woodlands. It is common in the central and southern parts of the park. From the Park’s website. Harriman’s Yucca (Yucca harrimaniae) has bell-shaped cream colored flowers that grow 14-30 inches above the leaves. American Indians used the plant fibers to make rope. From the Park’s website. Claretcup Cactus (Echinocereus triglochidiatus) is found throughout the park in sandy to clay soils on upland benches and occasionally in canyon bottoms. It is associated with mixed desert scrub and pinyon juniper woodland communities. From the Park’s website. Indian Paintbrush (Castilleja chromosa) are common in the central and southern portions of the park. Indian paintbrushes are root parasitic, meaning they attach their roots to the roots of other plants and take nutrients. From the Park’s website. Yellow Eye Catspaw (Cryptantha flavoculata) is found in saltbrush scrub, mixed desert scrub, pinyon juniper woodland, and ponderosa pine communities. It is common throughout the park and typically found on hillsides and uplands. From the Park’s website. Silvery Townsendia (Townsendia incana) is associated with dry, sandy or clay soils on hills and benches in desert scrub, saltbrush, sagebrush, and pinyon juniper woodland communities. From the Park’s website. Mountain Pepperplant (Lepidium montanum) is found in dry, sandy to rocky soils on hills and benches in desert scrub, sagebrush, and pinyon juniper woodland communities. It is common throughout the park and has seeds that taste like black pepper. From the Park’s website. Pinyon (Pinus edulis) has yellowish brown bark that grays with age. American Indians used the sticky resin as a glue and waterproofing agent. From the Park’s website. Naked Stem Sunrays (Enceliopsis nudicaulis) grow in clay soils, mixed desert scrub, and pinyon juniper communities. It is common along Highway 24 east of the visitor center and the scenic drive. From the Park’s website. Ferron Milkvetch (Astragalus musiniensis) is a common endemic species found in the Colorado Plateau. It is found at low elevations in the park, in mixed desert scrub, salt desert, and pinyon juniper woodlands. From the Park’s website. Central Pricklypear (Opuntia polyacantha) is associated with mixed desert scrub, sagebrush, pinyon juniper woodland, and ponderosa pine communities. It is common in sandy to rocky soils, especially along the Cohab Canyon Trail. From the Park’s website. Showy Four O’Clock (Mirabilis multiflora) is found in mixed desert scrub and pinyon juniper woodland communities throughout the park. It was commonly used for medicinal purposes by American Indians. From the Park’s website. Common Globemallow (Sphaeralcea coccinea) is found in mixed desert scrub, sagebrush, pinyon juniper woodland, and ponderosa pine communities in wash bottoms and uplands. It was used by Navajo Indians to heal wounds, stop bleeding, and treat colds. From the Park’s website. Utah Juniper (Juniperus osteosperma) is common throughout the park and has a fibrous bark that becomes shredded with age. From the Park’s website. Roundleaf Buffaloberry (Shepherdia rotundifolia) is an evergreen shrub endemic to the Colorado Plateau. Settlers cooked the berries to make a sauce for buffalo steaks, giving the plant the name. From the Park’s website. Bighorn sheep. From the Park’s website. Hickman Bridge. From the Park’s website. Hamburger Rocks. From the Park’s website. Hall’s Creek Narrows. From the Park’s website.